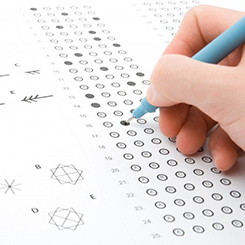 Most people have already sat through an intelligence quotient test, or IQ test as it is more commonly known, for fun, for school, as part of a job interview or a military examination. After solving half an hour’s worth of brain-twisting puzzles and mind-bending challenges, a number is presented to us on the screen – our personal IQ test score. But what does this number really mean? And what does it really say about us? The viability of the IQ test has long been debated by psychologists and politicians alike. The discussion is largely based on the largely accepted study entitled ‘The Bell Curve’, in which IQ tests were shown to be an accurate predictor of several social factors, including likelihood of ending up in jail, level of income and likelihood of high school graduation. It was these findings that initially brought credibility to the IQ test. It was, however, another part of ‘The Bell Curve’ that sparked the debate: With ‘The Bell Curve’ came also a controversial notion that all humans possessed an unalterable level of intelligence determined by our social and genetic heritage while growing up. This level of intelligence is supposedly reflected in the number that comes out at the end of an IQ test. In recent years, however, scientists have successfully challenged this notorious theory. One of the scientists that have been researching the matter of the IQ test is Angela Lee Duckworth of the University of Pennsylvania. In her studies on the effect of motivation during IQ tests, her team of scientists found that when monetary rewards were used as incentive for completing an IQ test well, subjects would see an average increase of 10-20 IQ test points on a scale of 1-100. The outcome serves as proof that we do, in fact, have a say in the outcome of our own intelligence, as our desire to do well plays a decisive factor. To further solidify these findings, Duckworth ran a long-term study in which 500 boys was put through an IQ test at age 12. The boys were videotaped and their body language was then analysed for signs of boredom and distraction by experts in the field in order to determine whether or not the subject was motivated. 12 years later, when the same boys turned 24, they were interviewed about their career and social life. The interviews showed that measuring motivation was a far more accurate predictor of academic success and employment than the IQ tests themselves. As such, while IQ tests do provide some indication as to future social factors, IQ itself is far from the only parameter in the equation. The reasoning behind Dr Highfield’s statements on IQ tests is that the three mentioned variables, short-term memory, reasoning and verbal skills, each utilize separate neural systems in the brain. An individual may be much better in one area than in the others, thereby possessing valuable qualities which are not reflected in an IQ test. 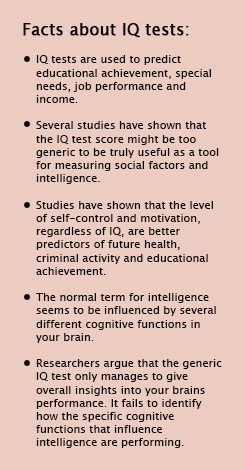 This is partly because the IQ test score consists of an average of the three variables, and partly because of how the IQ test score is calculated: The result of an IQ test is based on what other people, who may have their cognitive abilities more evenly distributed, have scored on the IQ test. The standardized method of calculating IQ test scores has been the source of much debate from scientists before Dr Highfield. In 1984, researcher James R. Flynn pointed out that the average IQ test score of Americans had increased almost linearly from 1930 to 1980 by a total of 13.8 IQ test points, a discovery which later became known as the ‘Flynn Effect’. The Flynn Effect has since been measured in several other countries. The reason for this linear rise in IQ test scores over time has never been fully established. Flynn himself attributed the rise to the hypothesis that “IQ tests do not measure intelligence but rather a correlate with a weak causal link to intelligence.” In other words, Flynn believed that the rise in IQ test scores proved that IQ tests only test a small, problem-solving portion of the brain’s functionalities. In that case, as people get more used to seeing and solving problem solving tasks such as the ones that constitute an IQ test, they would also see increases in their IQ test score, ultimately resulting in the Flynn Effect. Flynn therefore believed, as Dr Roger Highfield does, that IQ tests are too shallow and insignificant to be considered a measure of true intelligence. In addition, Dr Highfield’s notion that intelligence cannot be measured in a single unit – as it is done in an IQ test – is backed up by several present studies. In 2010, a major study of one thousand children who participated from birth to age 32, showed that their ability to restrain and control themselves, a trait of cognitive reasoning, was an accurate predictor of future physical health, addictions, personal finance and criminal likelihood no matter what the result of their IQ test was. The study was originally launched because, 20 years earlier, a study attempting to improve IQ test scores in preschoolers had failed to do so, but had somehow still produced remarkable reductions in educational dropouts, teen pregnancy and disorderly conduct compared to the average. This was because the children had acquired improved self-control as a biproduct of attempting to improve on IQ tests. For further evidence supporting Dr Highfield’s notion on IQ tests, we need not look any further than our own blog post from September on how bilingual children experience significant benefits throughout life from exercising their verbal skills early on. In order to truly measure intelligence, then, one has to first choose which cognitive skills constitute intelligence. An IQ test is quick to judge, but it lacks the precision and depth to justify this bluntness. In truth, there are several cognitive factors that impact our future. Perspectives on IQ Tests: How Broadly Should We Define Intelligence? While scientists like Dr Roger Highfield have argued that IQ tests do not genuinely reflect the cognitive skills that should rightfully be accounted for in a test of intelligence, other scientists have argued that intelligence itself cannot be limited to performance of the brain. 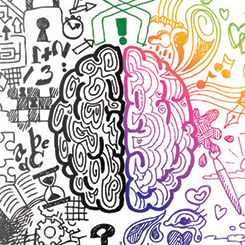 One such scientist is Harvard psychologist Howard Gardner, an avid critic of the IQ test, who proposes that we can be measured on many different kinds of intelligences, such as musical, spatial-visual, linguistic and social intelligences. More specifically, Gardner has composed eight different overall forms of intelligence and each defined by specific intelligence characteristics. These intelligence characteristics stand in heavy contrast to the IQ test and may be far more abstract than pure brain power. For example, a person possessing “intrapersonal intelligence” is defined as having excellent self-awareness and being able to analyse his or her own strengths and weaknesses. Such a person would ideally, according to Gardner’s theories, choose to become a philosopher, a writer, a theorist or a scientist. The main argument for Gardner’s theory of multiple intelligences is that it takes into account several more factors for predicting the future of an individual, which are plainly overlooked in a conventional IQ test. In essence, the theory is based on the same notion that Dr Highfield provided – that IQ tests simply are too shallow and crude to truly reflect intelligence. It should be noted, however, that while Dr Highfield’s arguments on the deficiencies of the IQ test are supported by several studies, Gardner’s theory of multiple intelligences still needs to be solidly proven with empirical evidence. It does however provide food for thought about how narrow the conventional IQ test truly is. All in all, the IQ test may provide a crude estimate of your brain’s current performance, but it provides no further details as to which parts of the brain are performing. Measuring cognitive skills individually would provide a much better and much more relevant indication on true intelligence. Some even argue that we should measure outside the brain’s functionalities in order to fully establish intelligence. Furthermore, the IQ test is no solid sentence. You are ultimately in control of your future, as your motivation to reach your goals in life has enormous impact on your performance in all aspects of life, including the IQ test. Try not to let a number provided by an IQ test define, or limit, who you are.